This drama is set within the backdrop of an emergency room at a hospital. Kang Jae In (Hwang Jung Eum) is the successor of Ikhyo Foundation, which owns a medical university and five hospitals, but she does not care about the fact that she is the successor. Jae In only cares about her ex-boyfriend. Dong Chan is a prickly broadcasting director at MBS who meets and immediately clashes with Nam Hee, a reporter he meets at a wedding reception. Through their constant bickering, they end up falling in love despite their initial dislike of each other. His passiveness in love results in a comedic struggle as the two tries to deal with their physical attraction. "Pasta" covers the dreams and success of a young woman who aspires to become an elite chef at Mamma Mia restaurant. Seo Yoo Kyung started her career as a third ranked chef assistant at Mamma Mia restaurant. She eventually works her way up to become a chef. 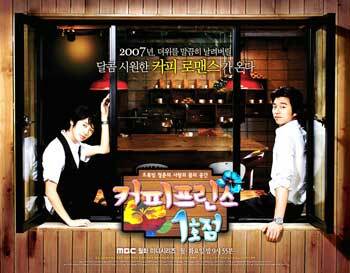 Choi Hyun Wook is the top chef at Mamma Mia restaurant. He studied the culinary arts in Italy and started out as a chef assistant at a hotel in Sicily. Hyun Wook eventually worked his way up to become the most widely recognized Italian chef in Korea. Jeonju Digital Project 2009"Lost in the Mountains" is directed by Hong Sang-soo, "Koma" by Naomi Kawase and "Butterflies Have No Memories" by Lav DiazIn the film "Koma", Kawase explores the relationship between fragile and often tense history between Korea and Japan through the relationship that develops between a third generation Korean-Japanese man, who unexpectedly visits the small and quiet village of Koma, and a Japanese woman, a somewhat mysterious inhabitant of the village.Korean director Hong's "Lost in the Mountains" tells the story of a woman's love-hate relationship with the people closest to her, including a friend, a teacher with whom she had an affair and her ex-boyfriend. It starts when she makes an impromptu visit to see her friend, who lives in Jeonju. "Butterflies Have No Memories", the film by the director Diaz, depicts the lives of the inhabitants of a remote island far from the Philippines who suffer economic difficulties after a gold mining company withdraws from the town. One day, a sudden visit by a Canadian woman born and raised on the island makes their already troubled lives even more complicated. The drama about the love life of an old maid, Oh Eun Joo. She has been working at a book publishing company for seven years. Eun Joo forms a love triangle with Tae Oh and Young Soo. Tae Oh is younger than Eun Joo by seven years and Young Soo is a businessman who Eun Joo meets on a blind date. Eun Soo is reluctant in letting Tae Oh meet her friends because of their huge age gap. This causes a rift in their relationship because Tae Oh thinks that Eun Soo doesn't take him seriously. At the same time, Eun Soo continues to see Young Soo and there's something about him that draws her closer to him.